Join the Eco-Reps for an evening of making valentines using recycled materials! Fair trade tea and chocolate will be provided. 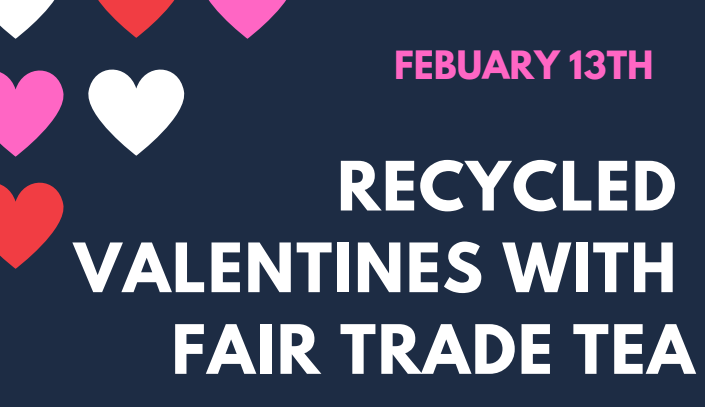 This entry was posted in Events at Champlain and tagged Burlington, Champlain College, fair trade, recycle, valentines on February 12, 2019 by S.C. Intern.